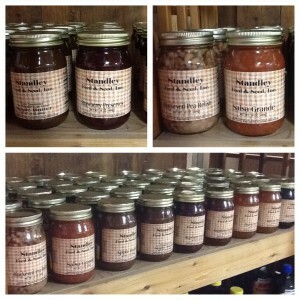 Did you know that you can find a full line of homemade Jam, Jelly and Salsa at your local Standley Feed & Seed? If you’re looking for an easy-to-give gift or something unique to add your next meal, stop by and grab some of these delicious treats. Shop local at Standley Feed & Seed at any of our locations and bring these unique flavors home or create a basket for the perfect gift! This entry was posted on Monday, April 10th, 2017 at 8:09 pm	and is filed under News & Updates. You can follow any responses to this entry through the RSS 2.0 feed. Both comments and pings are currently closed.